Tim Cook: Tech Is Dividing People, But Also Could We Slash Apple's Taxes Already? 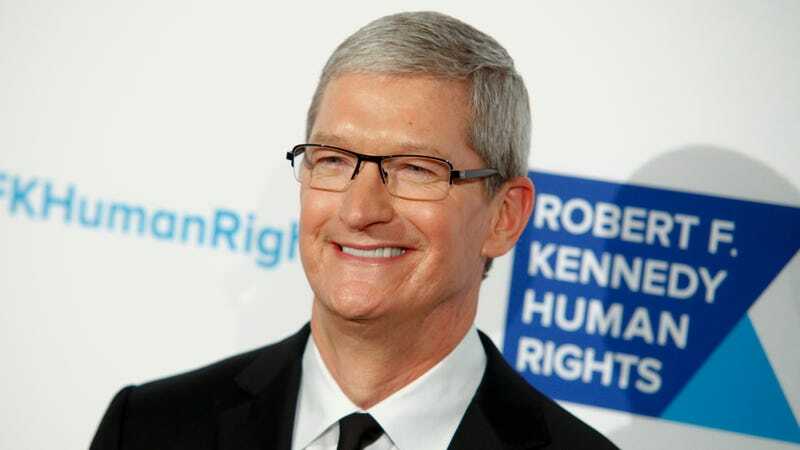 Apple CEO Tim Cook, whose company mostly sells consumer products, has largely avoided being sucked into the rapidly expanding scandal over the alleged Russian effort to promote internal division in the US before the 2016 elections—unlike other tech giants like Google, Twitter and Facebook, all of which now admit some degree of involvement. With his hands washed of this particular matter, Cook is taking some shots at them. In an interview with NBC’s Lester Holt on Wednesday, Cook argued that the problem isn’t limited to Russian efforts but social media and other platforms’ hands-off approach to combating misinformation and propaganda. Cook added that social media companies have “learned along the way a lot” since 2016, but he warned them that amid congressional hearings into the matter, lofty rhetoric about disruption and the supposedly progressive nature of technology just won’t cut it. Cook, whose company has not always had a great track record on being “good,” then immediately undercut his point about tech companies’ lack of social responsibility by urging Congress to slash corporate tax rates—in a manner hard to interpret as anything other than encouraging further deference to massive international corporations. As Business Insider noted, Apple has a $261.5 billion stash of cash and marketable securities socked away, approximately 94 percent of it overseas—and Cook is essentially suggesting that little of it will come back unless he gets a sweetheart tax deal. Congressional Republicans are currently mulling one of the biggest tax slashes in history. President Donald Trump reportedly wants to call it the “Cut Cut Cut Act,” while researchers from Trump’s alma mater Wharton say it will explode the deficit. Sure seems like Cook is putting his finger on the scale in favor of a fairly radical redefinition of who is supposed to pay for what. It’s a pretty strange vision of social responsibility in tech that laments how the industry promotes political division while sitting on a hoard of cash during a time of skyrocketing income inequality, but hey, welcome to 2017.